The Qomo HiteVision QRF900 RF Wireless USB Receiver quickly connects to your computer through USB. 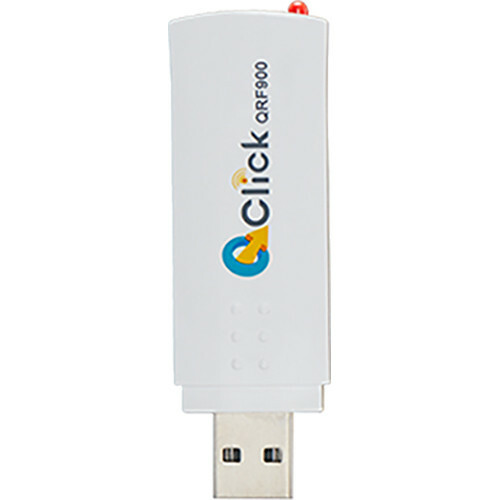 Easy to carry, the receiver is the size of a thumb drive. It uses radio frequency to communicate with the instructor and student remotes. The QRF900 receiver utilizes automatic interference avoidance and has a range of up to 250 ft. Each one can communicate with an impressive 1000 student remotes and transmits with 1 dBm of power. Box Dimensions (LxWxH) 12.2 x 12.1 x 8.9"